I sold my house in Brookside, Kansas City, Missouri. I had a tiny house on wheels built. It presently is parked in Park Delta Bay, in the California Delta Loop. Park Delta Bay supports Tiny House Living by dedicating its time and effort to education and promotion of tiny house dwellers and enthusiasts. 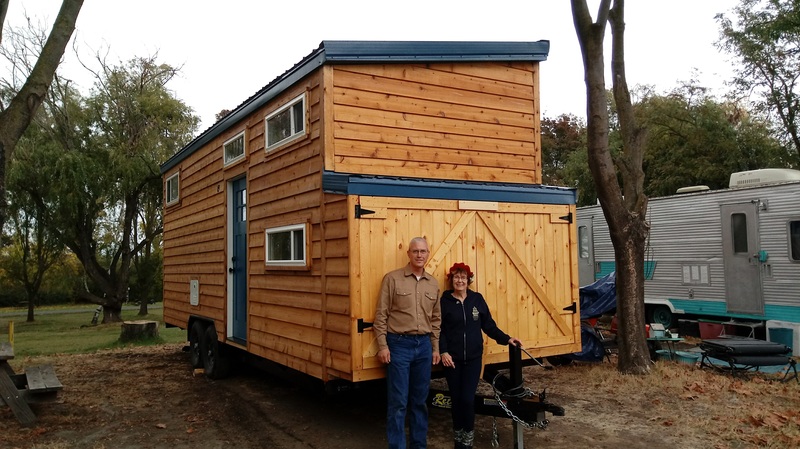 In fact, they host several “Camp Tiny House” events every year, offering tours and speakers along with a potluck gathering! I’d be pleased as possible if you would subscribe to my YouTube Channel, watch, and comment! Thank you for your devotion over the last four years. I’m still striving to live complaint-free, but I’m not complaining about my tiny life! Kevin Kitsmiller, the builder, and myself in front of my tiny house, Angel’s Haven.